Everything you need to know about motoring law. Staying on top of the rules and regulations can keep you safe and stop you from breaking the law. There are a lot of rules and regulations to follow when you hit the road, and staying on top of them can keep you safe and stop you from breaking the law. We’ve rounded up a list of some key motoring dos and don’ts to help you make sure that you and those around you are as safe as possible next time you venture out in your car. Gov.uk explains that it is illegal to drive using hand-held phones or similar devices, and that this rule still applies even if you’re stuck in traffic or have stopped at traffic lights. If you’re caught using your phone or tablet then you could get three penalty points on your licence and a fine of £100. If the seat you’re using has a seatbelt fitted, as most modern cars do, then you must use it. Plus, there must only be one person in each seat wearing each seatbelt. There are only a few specific exceptions to this rule, as detailed on the government website, such as if you are a driver who is reversing or in an emergency services vehicle. You can be fined up to £500 if you are caught not wearing a seatbelt when you’re meant to. According to THINK! speed is one of the main factors in fatal road accidents, so driving within the speed limit is vital. The law states that “you must not drive faster than the speed limit for the type of road and your type of vehicle.” If you’re caught speeding the minimum penalty is a £100 fine and three penalty points added to your licence. At drive like a girl we encourage you to drive at a safe speed for the road and conditions, always keeping within speed limits. Remember – the speed limit is a maximum, not a target. Under section 148 of the Highway Code, safe driving needs concentration. This means it’s important to eliminate anything that may distract you whilst you drive, such as smoking, eating or drinking, playing loud music or trying to read a map. 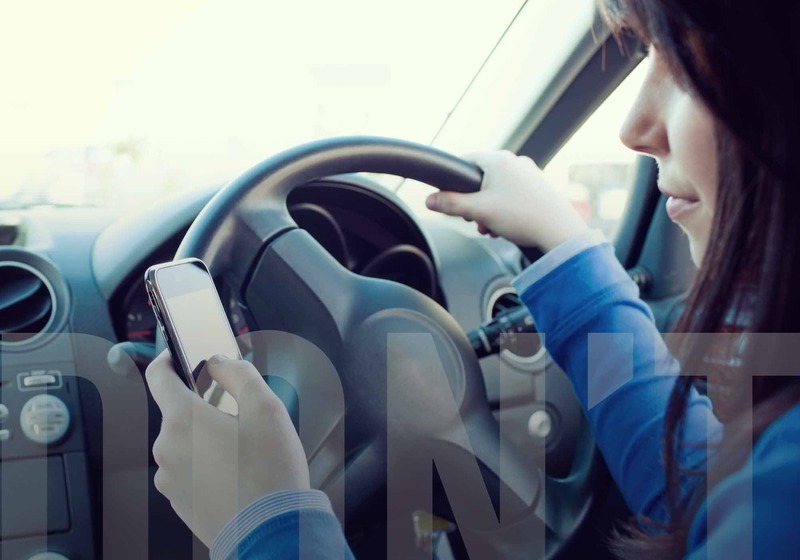 If you drive distracted, there is a potential punishment for failing to drive with due care and attention depending on how the individual activity affects your ability to drive reasonably and safely on the roads. The Highway Code was first published in 1931, and is regularly revised in order to stay up-to-date with current road rules and regulations. A lot of the rules are legal requirements, these include the word “must”, so it is important to follow them to avoid breaking the law, and staying on top of the advice can help keep yourself and those around you safe. If you have been driving for less than two years then your licence will be revoked if you get six or more penalty points, so you must follow the law. Staying on top of all motoring dos and don’ts can not only keep you safer, it could also help to save you money. For more information check out our ‘how it works’ page or get a quote now.